This website is a crash course in fracking. At the top and bottom of these pages are links to annotated information about fracking by subject, with each page listing sorted alphabetically. Fracking (fracing, hydraulic fracturing), or hydrofracking, is a method of mining for natural gas which greatly increases the efficiency of extracting shale gas from the ground. Geological experts claim that shale beds in New York, particularly the Marcellus Shale, contain more natural gas than previously estimated. 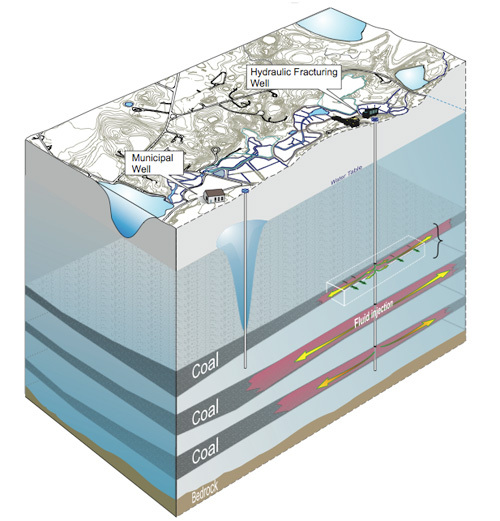 Can we benefit by this new source of natural gas without it affecting our water and lifestyle? 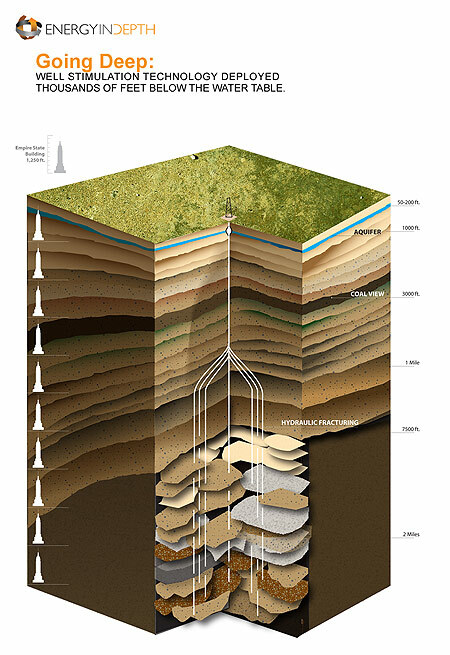 The diagram below, provided by Energy in Depth, an Oil and Gas Industry website, portrays a clean, quiet, well site. The reality however, as seen in the diagram provided at the bottom of this page by The Colorado Independent and Pro Publica is different. 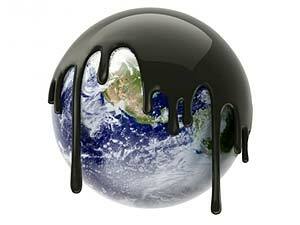 Hydraulic fracturing uses millions of gallons of water, chemicals and lubricants. Where does all this water come from? The contents of the underground injection fluids used in fracking is a trade secret. In 2005, fracking was exempted from regulation by the Safe Drinking Water Act (1974) leaving it up to the states to monitor and regulate a rapidly increasing number of fracked wells. The U.S. Environmental Protection Agency (EPA) was criticized in 2004 by Weston Wilson, an EPA scientist for "bad science" in this Fracking Study which led the EPA to mislead Congress to pass the Energy Policy Act of 2005 (PDF, 511 pages, 3.1MB). 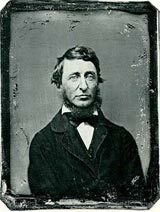 Acts of Congress are often designated as public laws when they are intended to protect all members of society in areas of interaction not limited to contract and tort laws. Most U.S. Consumer Protection laws are written as Acts of Congress. Consumer Protection laws are a form of government regulation that protect the interests of consumers. Section 322 of this Law amended the Safe Drinking Water Act (SDWA) to exempt all fracturing fluids except diesel from EPA regulations. Read the New York Times editorial, 11/3/2009, on the Halliburton Loophole. Federal regulators currently do not have access to a full accounting of the types and quantities of chemicals used in hydraulic fracturing fluids. On February 18, 2010 the Congressional Energy and Commerce Committee sent letters to eight companies in the fracking business requesting information on the chemicals used in fracturing fluids and the potential impact of the practice on the environment and human health. 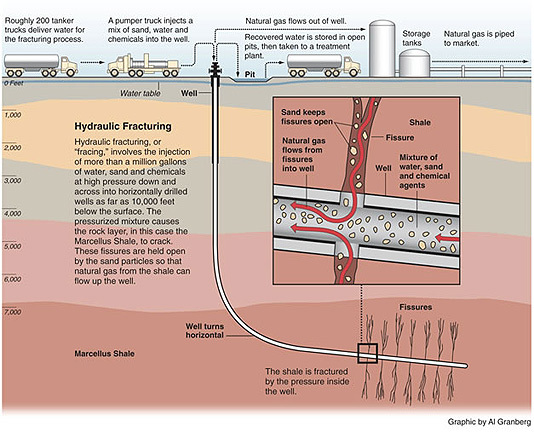 On March 18, 2010 the EPA announced that it is re-allocating $1.9 million for a comprehensive study of hydraulic fracturing. On April 7, the EPA Science Advisory Board (SAB) met for two days to provide advice on EPA’s Office of Research and Development (ORD) proposed approach to be used to frame the hydraulic fracturing study design and the areas that will be addressed by research relevant to hydraulic fracturing. Public comments were included but will not be permanently online. The Fracturing Responsibility and Awareness of Chemicals (FRAC) Act was introduced on 6/9/2009 in the Senate to amend the Safe Drinking Water Act and reverse the hydraulic fracturing exemption. Debate on this legislation is expected later in 2010. This legislation will not prohibit mining and drilling companies from operating, however it will remove their exemption under the Safe Drinking Water Act which allows companies to keep secret the chemicals and toxins they use in this process. Businesses involved in hydraulic fracturing projects can still continue to use a combination of water and sand or ceramic beads to increase oil and natural gas production. This website, Fracking Resource Guide annotates evidence, opinions, and observations on whether or not the potential economic benefits for the companies doing business in the Marcellus Shale outweigh the potential harm to our other public and private interests. Almost all of the links lead to free internet resources. 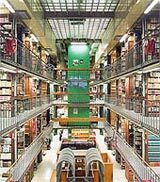 There are also references to scholarly books and journal articles that your local or school librarian can help you locate. You'll find background information on fracking from reliable authors; links to companies; expert opinions; public opinions for and against fracking; government reports, politics, pending legislation and regulations; legal issues, and press reports. Use the menu at the top and bottom of these pages and the search box to navigate these resources. See my book review (4/29/2012): Wilber, Tom. 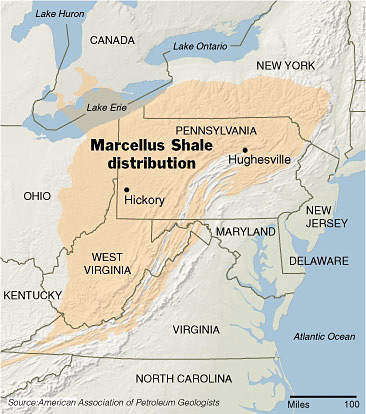 Under the Surface: Fracking, Fortunes and the Fate of the Marcellus Shale. Ithaca: Cornell University Press, 2012. Print. See: Gold, Thomas. The Deep Hot Biosphere. New York: Copernicus, 1999. Print. My article about this book is here: The Deep Hot Biosphere: The Myth of Fossil Fuels.